Welcome to China! Our private English-speaking guide and driver will pick you up in time at Beijing airport and transfer you safely to the hotel. A paper board with the sign of your name will be held high at the airport exit. The rest of day is free at your own leisure. 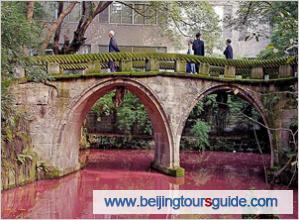 Beijing, as the capital of China, has lots of places of interests worth sightseeing. We arrange two and a half days tour in Beijing in the itinerary and today, visit Tiananmen Square, Forbidden City, and Pearl factory, and hold a Hutong tour with rickshaw. Tiananmen Square: Where you could see the symbol of China-the ancient majestic Tiananmen Tower. Forbidden City: A world reputed palace of Chinese 24 emperors in Ming and Qing dynasties. Hutong tour with rickshaw: Hutong is the right place to read old Beijing city life. Rickshaw trip is quite interesting. Spend the morning in Mutianyu Great Wall; visit Temple of Heaven and Cloisonne Factory in the afternoon. The Temple of Heaven: Much bigger than the Forbidden City, it is a royal temple worshipped by Chinese emperors to pray to heaven for a good harvest. Have a fresh morning in Summer Palace and the Olympic Green. After lunch, leave for airport and fly to Xian. Upon your arrival, our guide and driver pick you up at Xian airport, transfer to hotel; the rest of the day is free. Summer Palace: A world reputed garden of the emperors and their imperial families for their rest and entertainment. A cruise in its vast Kunming Lake gives you unimagined fun. Olympic Green: Pay an exterior visit to the Water Cube and the Bird’s Nest, which rank among the top 10 architectural miracles in China appraised by Business Week. Xian is one of the four major ancient civilization capitals, enjoying the equal fame with Athens, Cairo, and Rome. Four tour destinations today: Terracotta Warriors and Horses, Big Wild Goose Pagoda, Xian City Wall, Xian Art Pottery Factory. The Terra cotta Warriors and Horses: It is one of the most significant archeological finds of the 20th century. 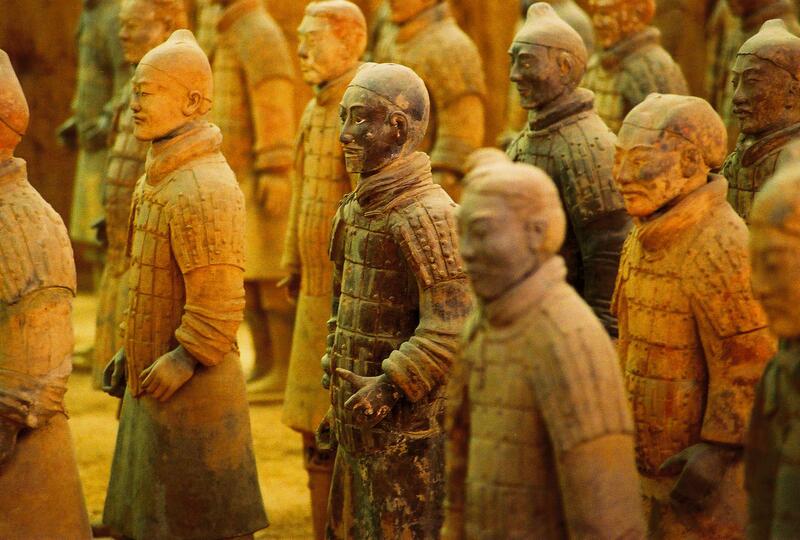 The ‘underground army’- 6000 life-size painted terracotta warrior and horses individually sculpted from real life models and arranged in battle formation have been protecting the mausoleum of the first emperor in Chinese history- Emperor Qinshihuang for 2,200 years. Big Wild Goose Pagoda: A well-preserved ancient building which is a holy place for Buddhists. Xian City Wall: A main attraction of Xian. It is one of the largest ancient military defensive systems in the world. Two attractions we are visiting in the morning: Shaanxi Historical Museum and the Great Mosque. After lunch, be transferred to the airport and takes the flight to our next tour city- Shanghai. Be met by our guide and driver at Shanghai airport and dropped at the hotel. The rest of day is free. Shaanxi Historical Museum: The museum houses the best cultural heritage of Shaanxi Province and shows the systematic development process of Chinese civilization. Great Mosque: One of the oldest, largest and best-preserved Islamic mosques in China built in 742 during the Tang Dynasty. It is a major spot for religious activities of over 60,000 Moslems in Xian. Shanghai is a renowned international metropolis; moreover, the perfect blend of cultures endows Shanghai with a unique glamour-the modern and the traditional, and the western and the oriental. Feel the distinct city by visiting Yuyuan Garden, Shanghai World Financial Center, Jade Buddha Temple, Silk factory, the Bund and Nanjing Road. Yuyuan Garden: A famous classic garden in Shanghai, built in 1577. The pavilions, halls, rockeries, ponds and cloisters all have unique characteristics. Shanghai World Financial Center: At 1,555 ft high, the top observation deck at the Shanghai World Financial Center is a great stop during your visit of Shanghai. Standing on a glass floor, you could have a bird’s eye view of the city and many of its main attractions. Jade Buddha: A venerable old Buddhist temple, famous for the two jade Buddha statues brought from Burma. The Bund: A famous waterfront regarded as the symbol of Shanghai for hundreds of years. It is the starting point where Shanghai walked into the modern times and a good place to know about the old Shanghai. Nanjing Road: China’s premier shopping street, 3.4 miles long, a must-see destination attracting thousands of fashion-seeking shoppers from all over the world. * China internal flights: Beijing-Xian, Xian-Shanghai. Hi, Do you have tours available between Nov 22 and 30? and how much for two people? Thanks.